NEW YORK, NY, April 19, 2018 /24-7PressRelease/ — Akira Armstrong, founder and CEO of Pretty BIG Movement, a plus-size dance company, will headline Realize Your Beauty Day, an annual celebration of inner-beauty on Sunday, April 29, 2018 at BALANCE, a leading eating disorder treatment center in New York City. She will be joined by Sports Illustrated Model Hunter McGrady, recently named Realize Your Beauty’s Ambassador. Realize Your Beauty, founded and directed by Stacey Lorin Merkl, is a non-profit organization based in New York City whose mission is to teach principles of kindness & self-love and to promote positive body image to youth through theater arts. The organization also provides education and awareness to combat bullying. The organization offers its theater workshops to the schools and works with The Girl Scouts of Greater New York. RYB also offers a summer camp for children and teens located in Colorado. 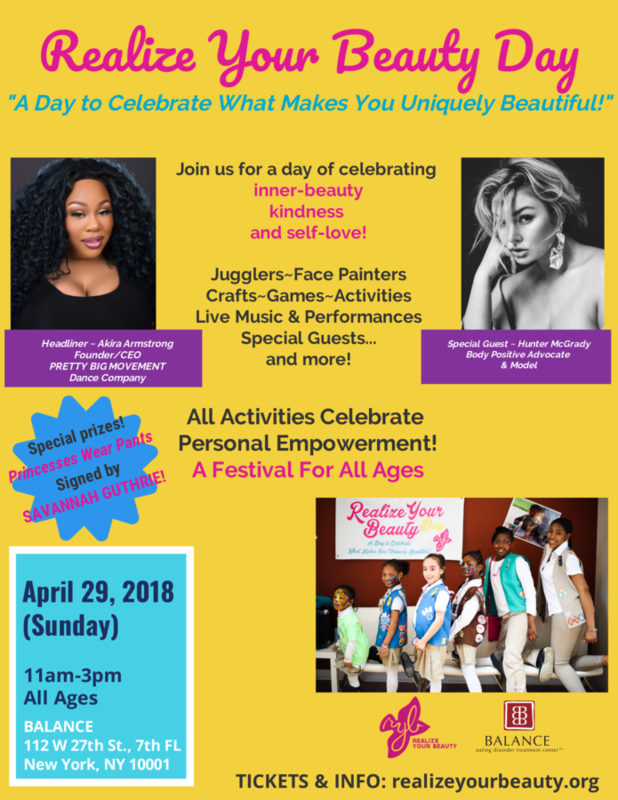 Realize Your Beauty Day promises to be a special event for children, teens, & families and will offer a variety of activities including arts & crafts, jewelry making, face painting, juggling, music, performances, and more. There will be special prize giveaways, including signed copies of the new children’s book Princesses Wear Pants by Savannah Guthrie, co-anchor of the NBC News TODAY Show. The event will showcase special guests and body positive advocates, Hunter McGrady and Akira Armstrong. Ms. Armstrong, in addition to her role as Founder and CEO of Pretty BIG Movement performs, conducts workshops, and travels across the country promoting female empowerment. Pretty BIG is grabbing attention as the first International Plus Size Dance Company celebrating the beauty of movement for all body sizes. 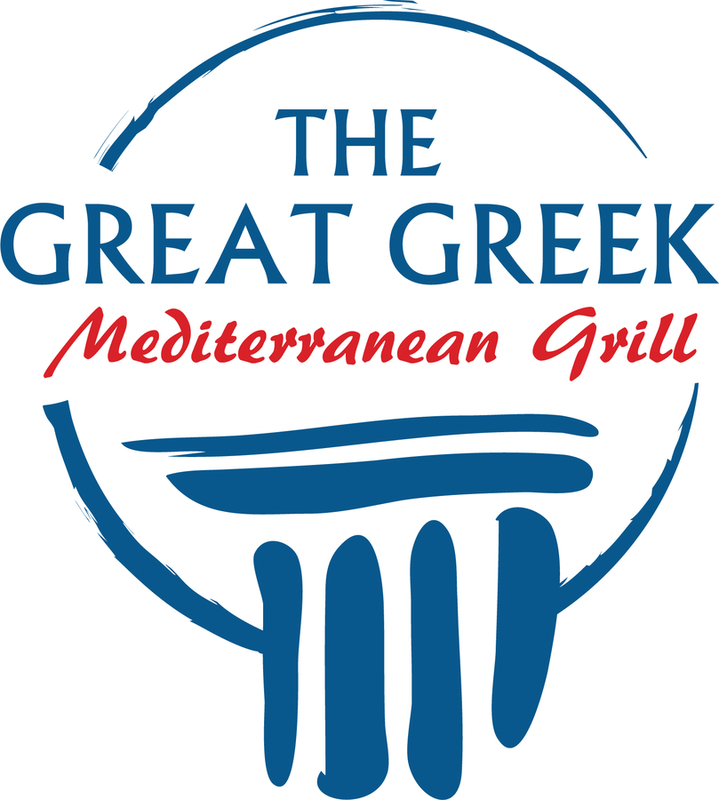 The troupe wowed the judges when they appeared on America’s Got Talent in 2015. In New York City, Armstrong gives back to the community through her work as a teaching artist, as well as producing Move Your Curves Workshops at the Alvin Ailey Dance Theatre. Hunter McGrady created a sensation when she was featured in Sports Illustrated as the curviest model ever to grace its pages and appeared in the famous SI swimsuit issue. At age 24, the Wilhelmina model has a growing presence on social media with over 400K Instagram followers. Hunter is having a major impact on her young generation as she spreads her message of body positivity and self-worth with the launching of her campaign #AllWorthy. The Realize Your Beauty Day event promises to offer entertainment, inspiration, and to engage participants of all ages in activities united by the theme of self-empowerment. Through our workshops, students discover a new way of thinking about themselves, their bodies and about beauty. Our workshops focus on fostering inner beauty- taking the focus away from societal standards and the pressure to be ‘pretty’. We encourage students to put their energy into kindness, integrity and respect towards themselves & others, and focus on developing their own unique inner qualities.